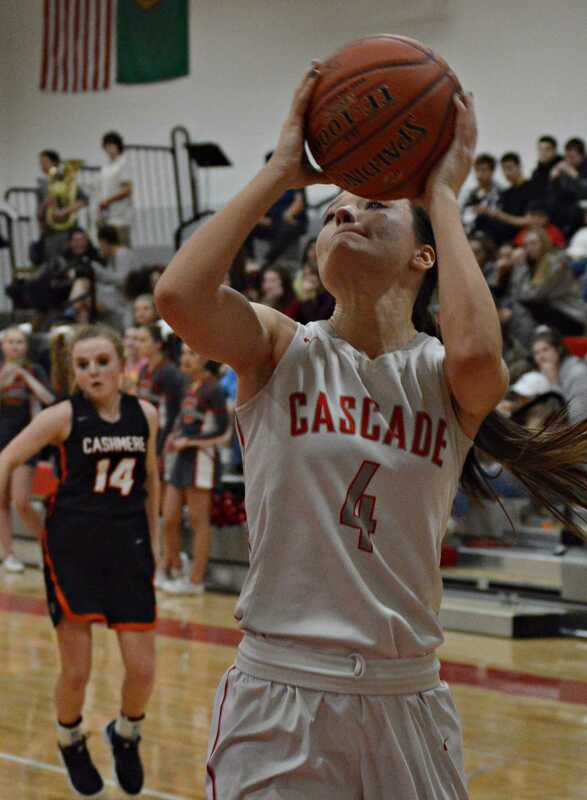 Cascade's Cole Warnaca fires a pass to an open teammate. 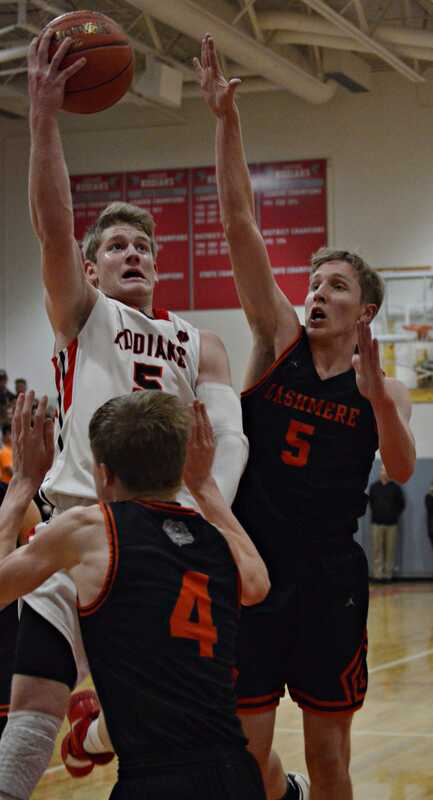 Cole Warnaca goes for two while covered by Cashmere defenders. 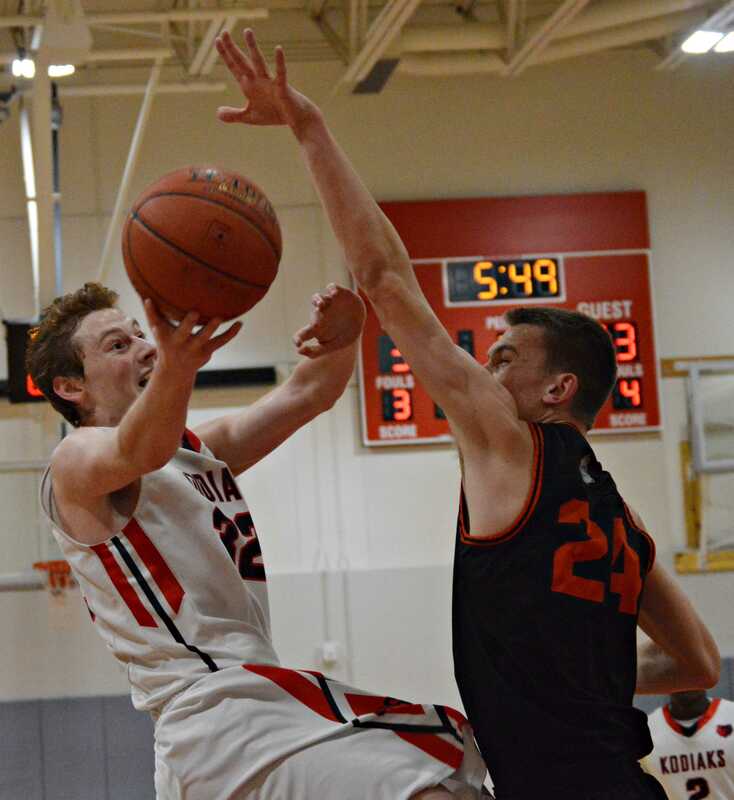 Cole Warnaca goes for two. 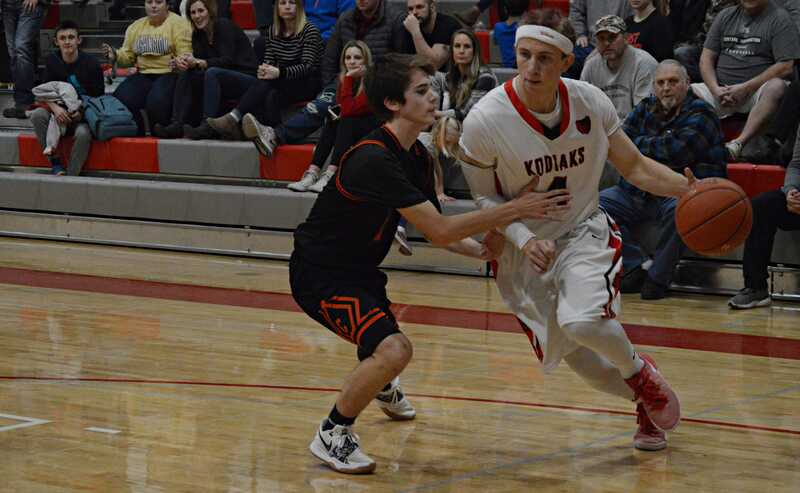 Hans Schlyer (right) led the Kodiaks with 24 points. 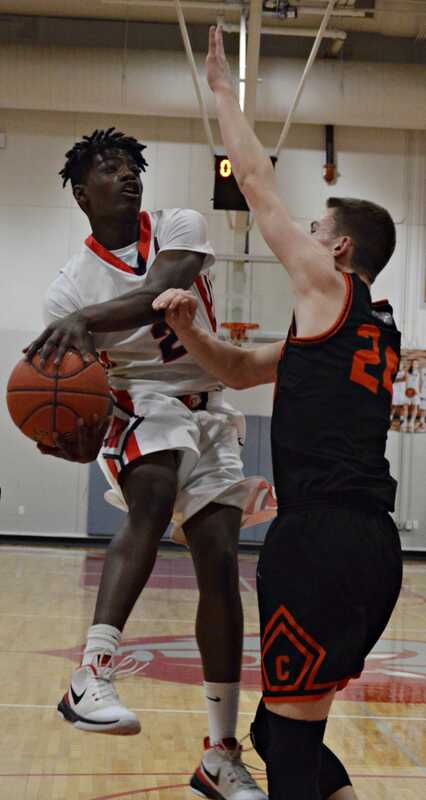 Isaiah Dayton eyes a scoring opportunity. 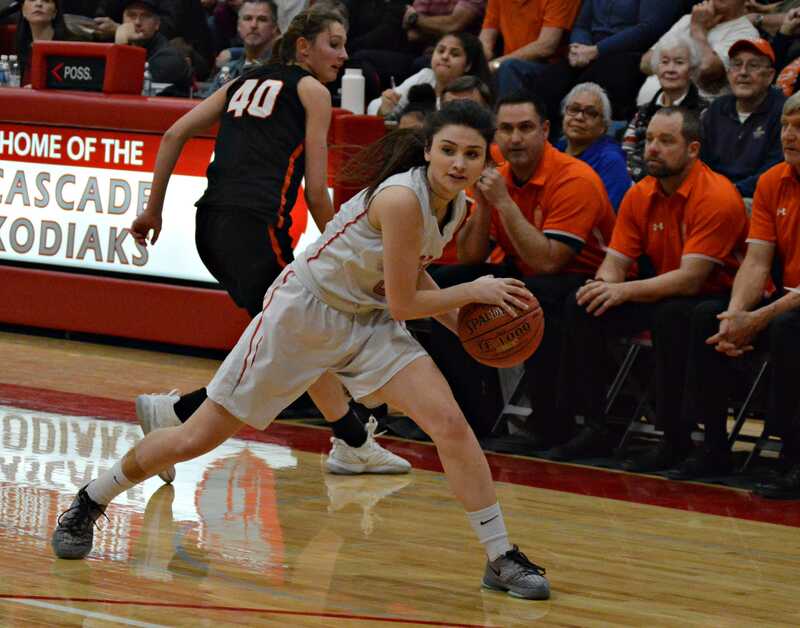 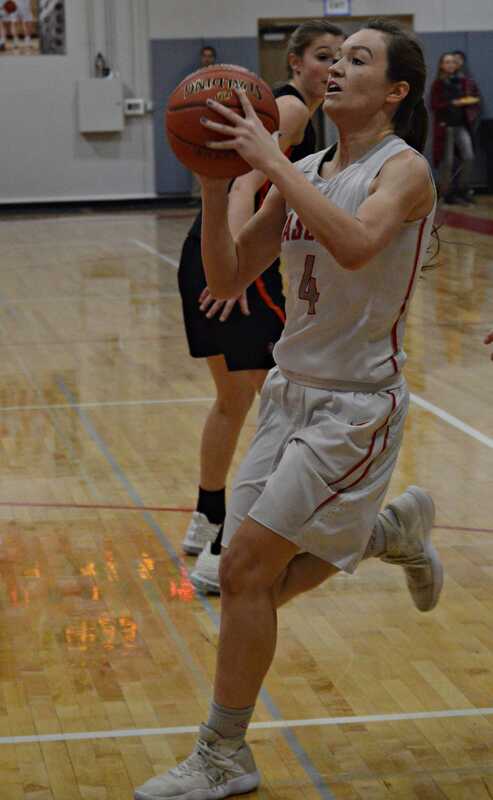 Kaija Lovelady led the Lady Kodiaks with 10 points. 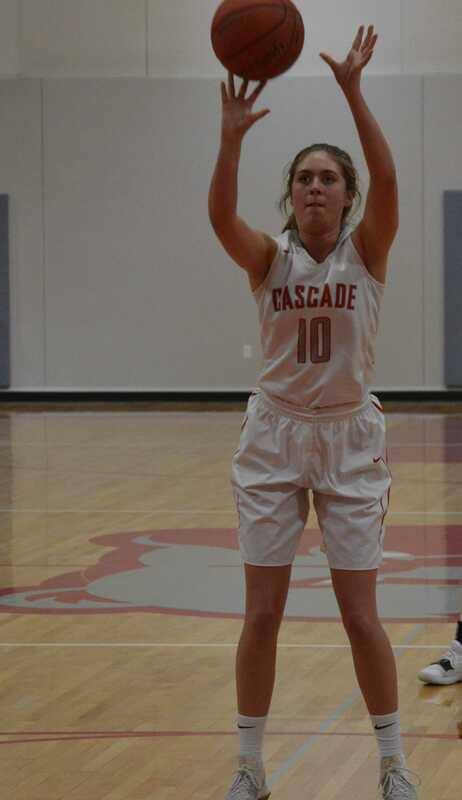 Kaija Lovelady was one of the seniors who wore a Cascade jersey for the last time. 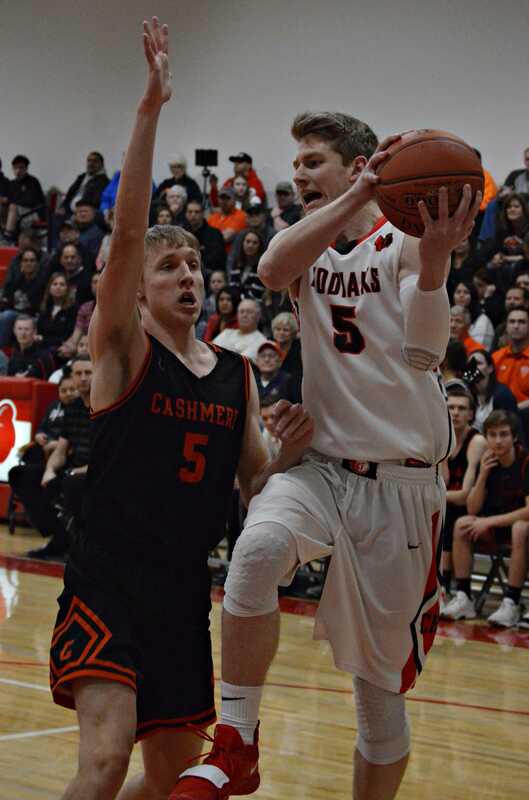 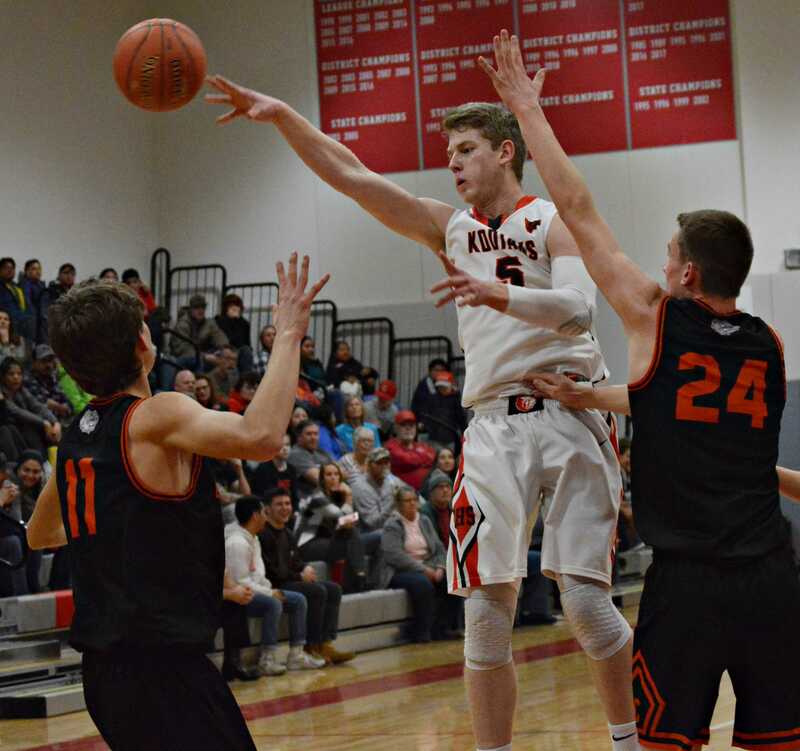 Conrad Hasse finished his CHS basketball career with three points in the fourth quarter. 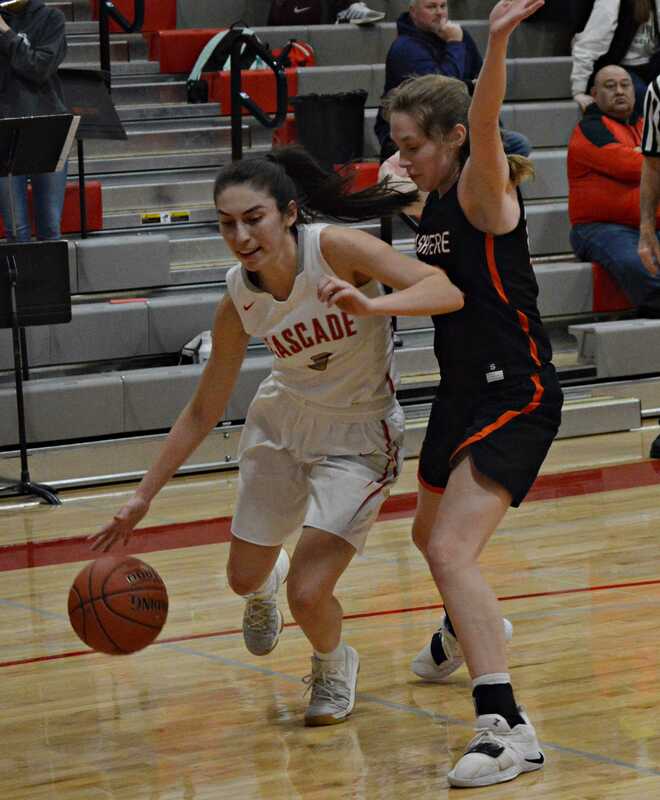 Cascade's Nicole Dunn scans the court for an open teammate.